This is patch version 3.2.3.5 for Virtual Pool 3 that corrects the stun bug and applies a few other tweaks. This patch is only for the download version. You can check to see if you already are at the latest version by comparing the version number shown in the link below with the version shown on the VP3 About screen. Requires version 3.2.1.7, 3.2.1.9, 3.2.2.3, 3.2.2.5 or 3.2.3.0. If you are at 3.2.1.4, install 3.2.1.7 first. - Changing the bet with Curley did not allow betting more than $10,000. - Adjusted rail reverse effect that was added in 3.2.2.3. The effect was too severe and happened at velocities that were too low making double banks not open up enough. 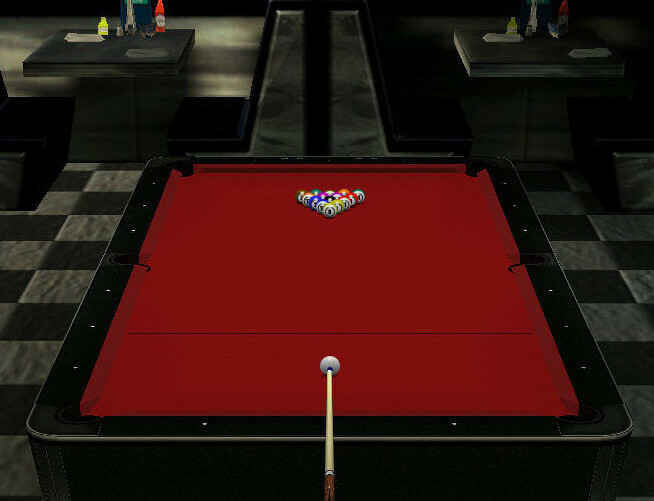 - Fixed Straight Pool bug where an object ball hit off the table resulted in BIH in kitchen. It should be a foul but no BIH. - Fixed problem where in rare instances low ball hit foul was called even though the low ball was hit. This was seen most often in Snooker when shooting colours but could happen in any game where a low ball hit is required. - Redo of the rail model. Previous model was not well balanced and had errors in ball paths. Multiple rail shots did not respond properly and were overly sensitive to speed and English. - Fixed Computer Opponent statistics problem where Statistics menu called from Career Select Opponent menu was not initialized to the game being played in the career. - Put Opponent mental characteristics into the Computer Opponent Profile screen for Career Play. The mental state is always set to Unknown. - Curly match was set to 11 games. It has been changed to vary by game type. Patch 3.2.3.5 has not been tagged yet.